Xpand Your Vision (XYV) is a community organizing nonprofit based in Asheville, NC. XYV creates products and events that inspire innovation and fund creative programming. Xpand Your Vision has been operating as a sole proprietor event planning/marketing company since 2012 and is currently undergoing the federal application process to be recognized as a 501(c)(3) nonprofit. 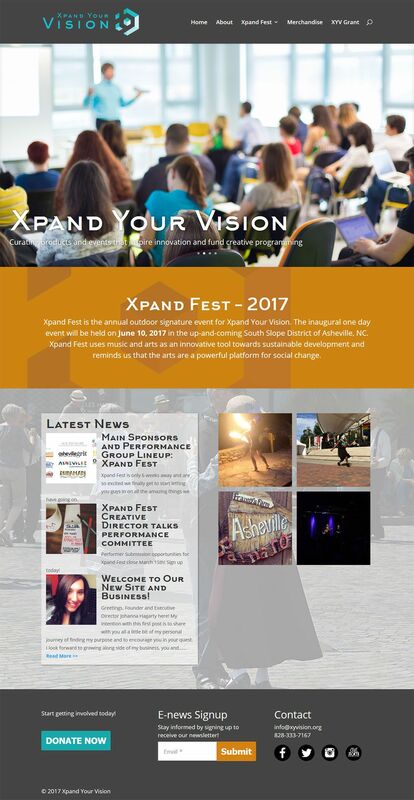 Xpand Your Vision consists of creative products produced by local artists and businesses, an annual arts festival called Xpand Fest, fiscal sponsorships and development consultations, the XYV Grant and other special events. It is our vision to be funding and producing creative arts programming for the underserved populations of Asheville and beyond within the first two years of operating.